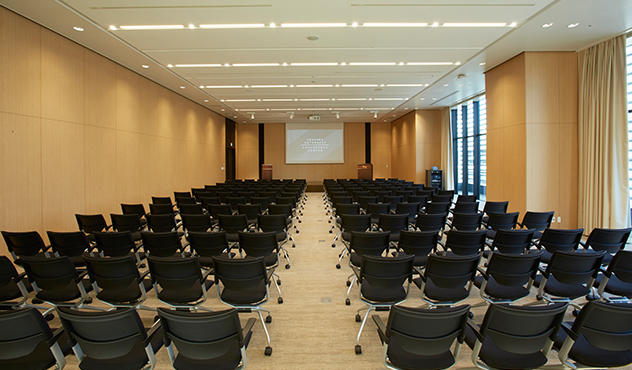 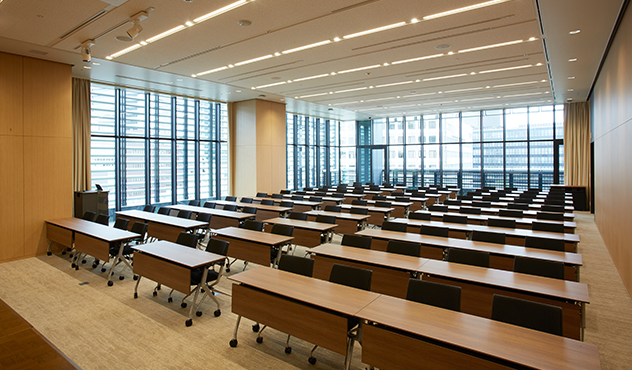 Spacious conference room ideal for 100-person seminars. 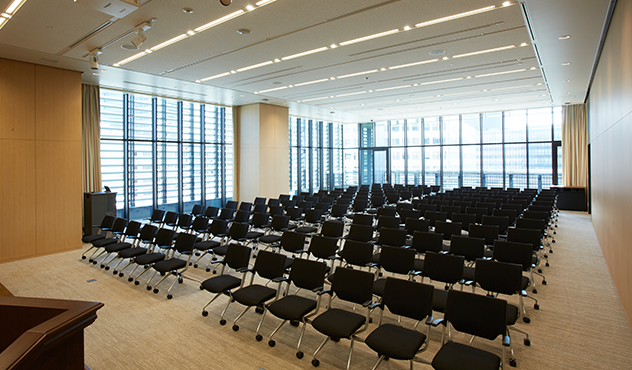 Spacious venue with a 4m-high ceiling and many windows. 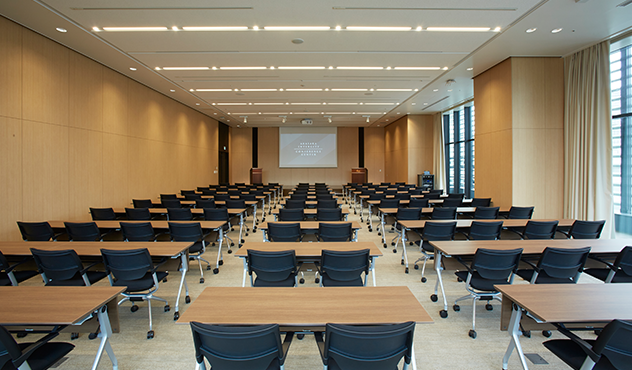 Full array of seminar equipment including mics and podium. 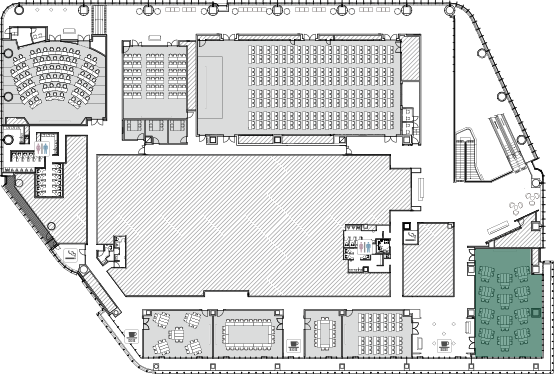 Lounge features a permanent kiosk and reception area. 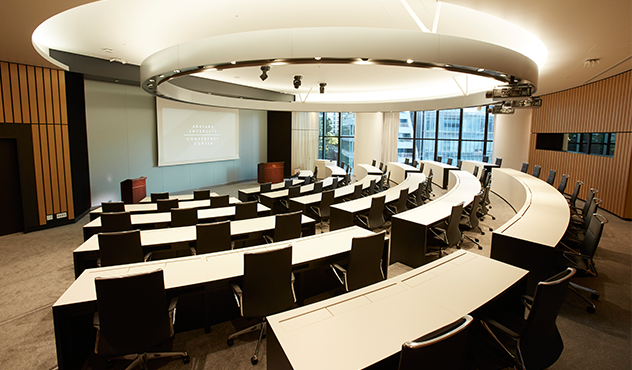 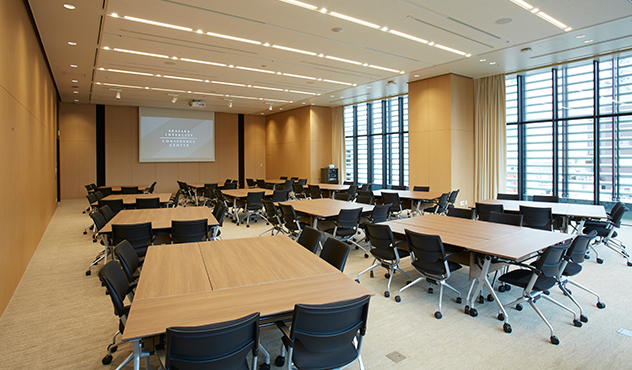 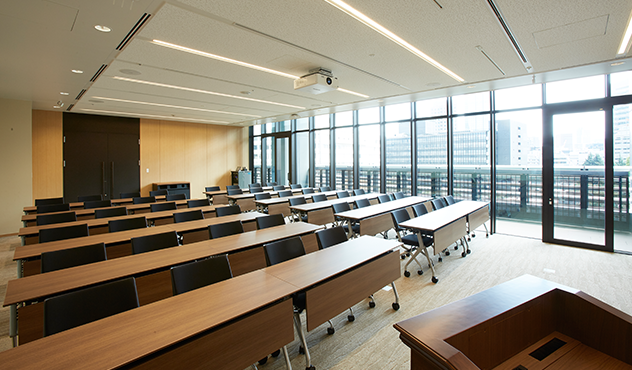 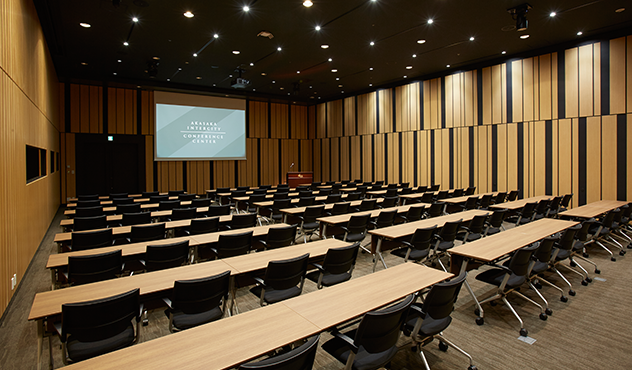 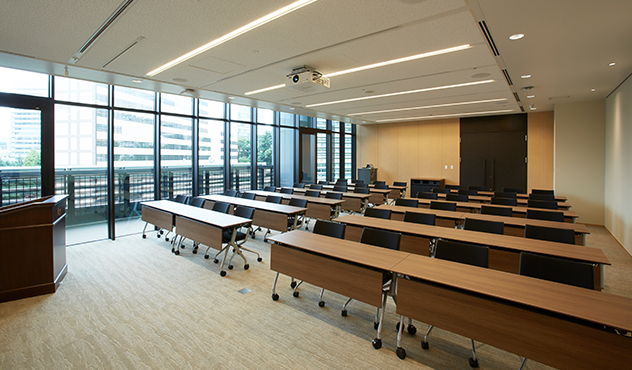 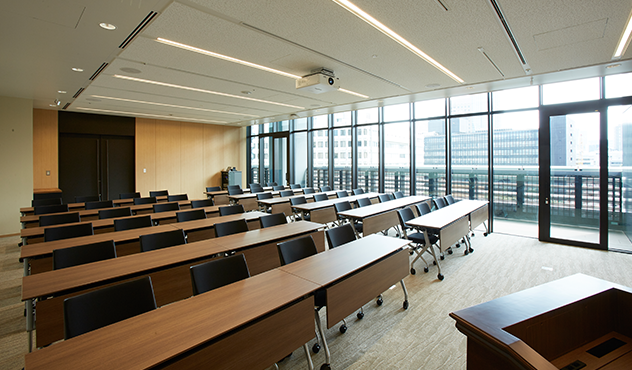 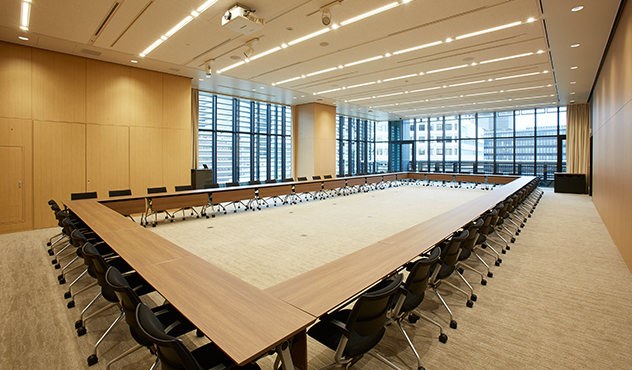 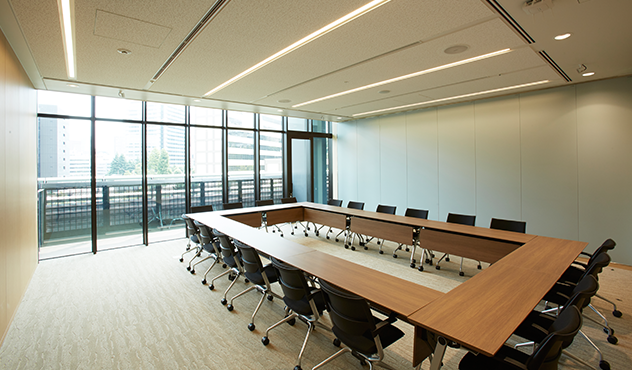 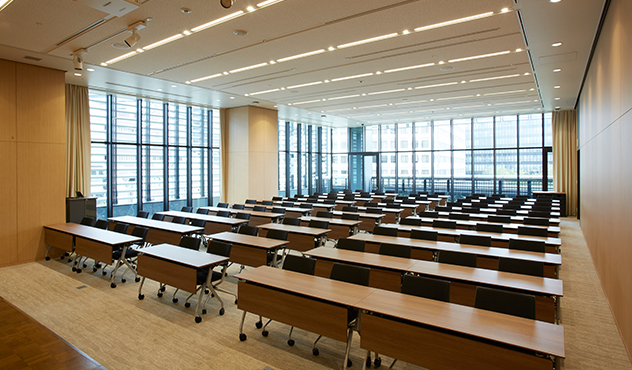 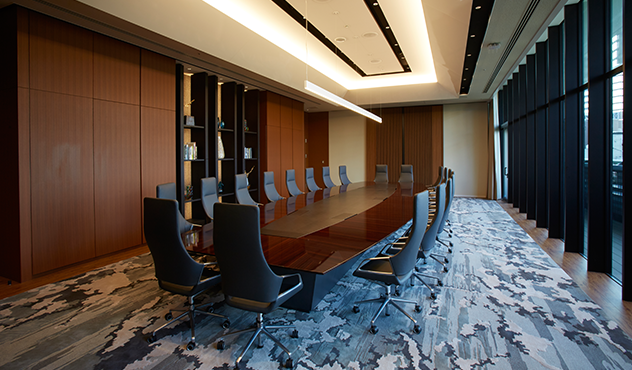 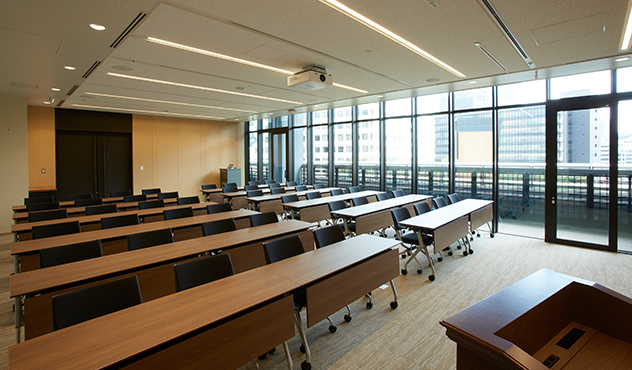 A spacious conference room with a 4m-high ceiling and large windows on two sides overlooking the abundant greenery on the premises. 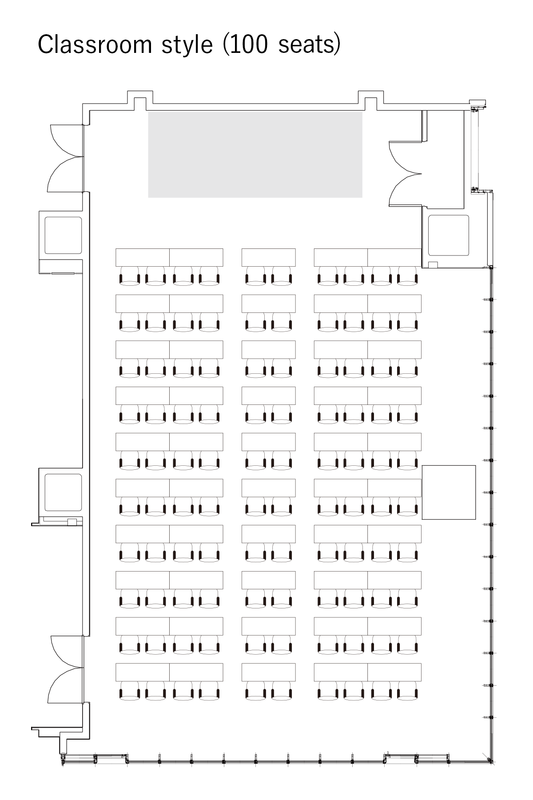 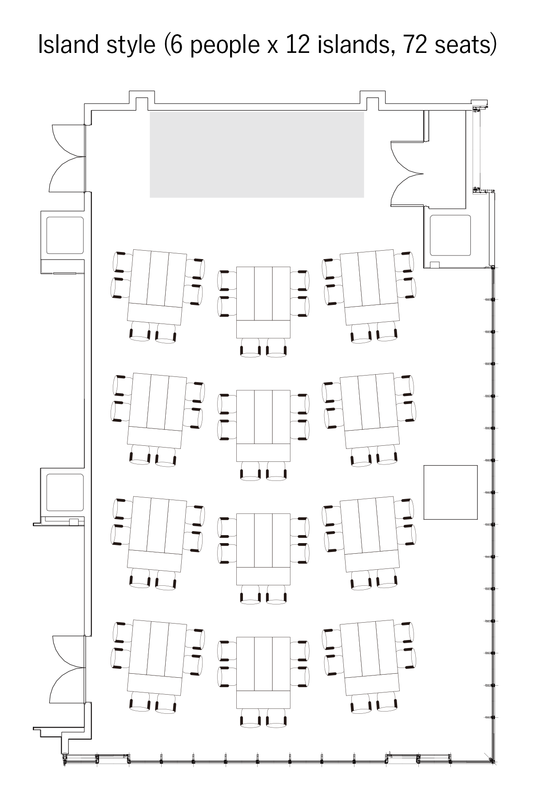 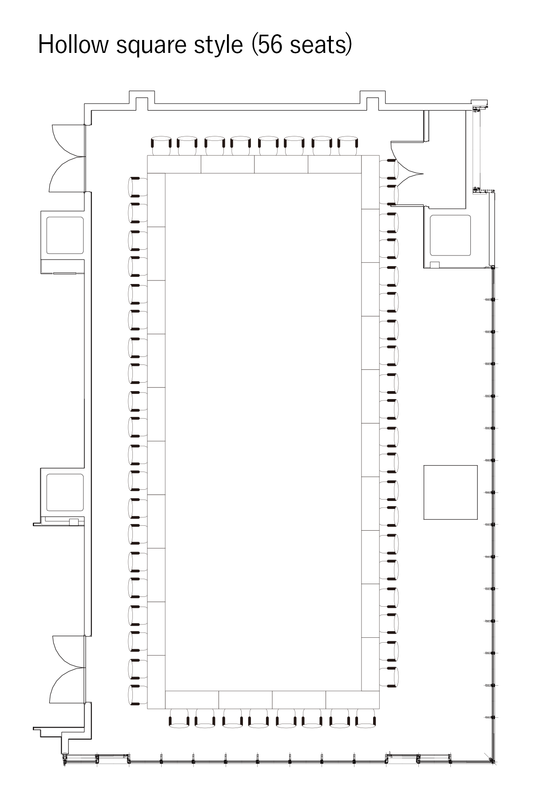 You can of course easily adapt the room’s flexible layout for your own purposes. 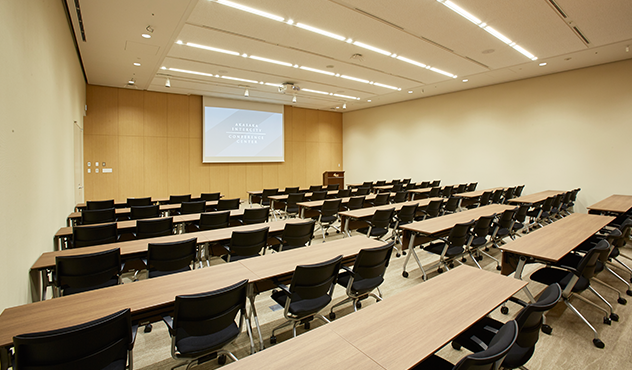 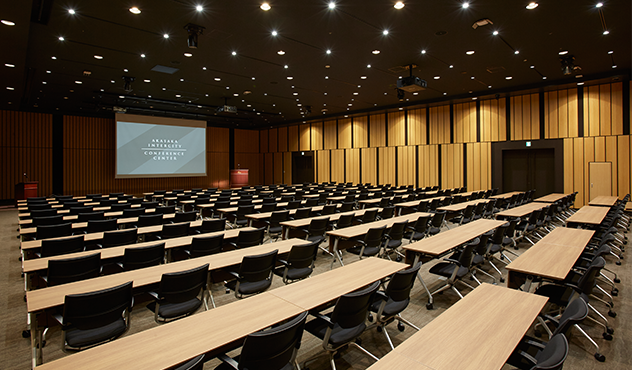 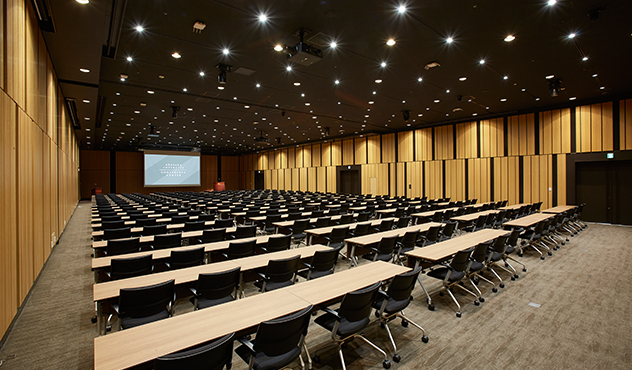 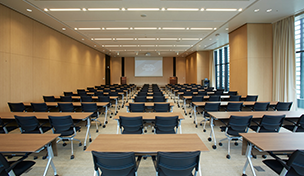 And with its array of equipment, including mics, lectern and stage, it is ideal for seminars of 100 people. 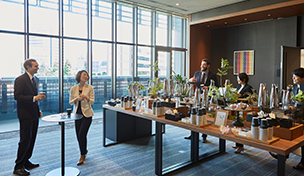 Also, the lounge features a dedicated reception, as well as a permanent KIOSK stands where you can enjoy drinks and snacks. 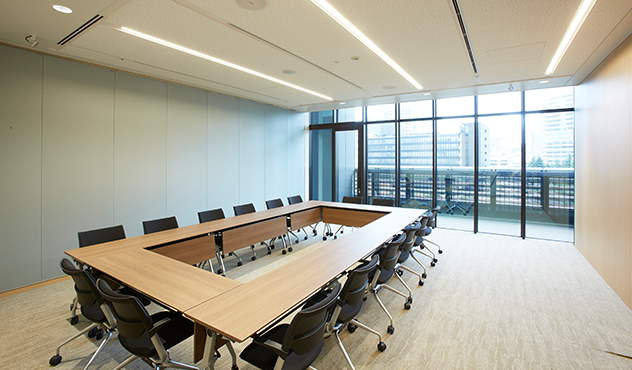 Switching on and off between work and rest energizes communications.